Internet Explorer is at 57.1%, Mozilla Firefox has kept most of its users, while Google Chrome continues to grow its market share. According to data by NetApplications, quoted by ConceivablyTech, Internet Explorer has experienced its biggest market share decrease of the last two years in December 2010 – 1.4 percentage points. 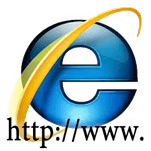 Internet Explorer’s share is currently 57.1%, a record low for Microsoft’s browser. On the other hand, Mozilla Firefox is currently at 22.81%, a figure that has dropped since January 2010 (24.43%). Google Chrome has done quite well, too, reaching 10% for the first time. In Europe, things seem to be even better for Firefox. StatCounter says that Firefox has surpassed Internet Explorer in Europe, with 38.11%, compared to Internet Explorer’s 37.52%. Chrome is third, at 14.58%. After reading the report I was curious to see how closely it matched up here at groovyPost.com so I threw together a quick table comparing our 2009 vs. 2010 December browser traffic. First thing that surprises me from the data above is how badly Firefox has done over the past year here at groovyPost. They’ve lost almost half their market share and one could say they’ve lost most of it to people jumping over to Google Chrome. Another surprise was how well Android is doing. It will be interesting to see where Firefox is in another year vs. Chrome… Anyone care to make a wager? I know I for one dumped Firefox about 6 months ago once Google cleaned up their EULA for chome. Anyway for those of you who have jumped on the Chrome bandwagon, checkout our articles on Chrome or perhaps this little nugget of groovyness: how to enable Aero Peek for all tabs in Google Chrome.